Aside from the obvious, some of the most common golf apparel pieces seen on the course include shoes, gloves, hats, visors, and sunglasses. Golfers often carry additional jackets, sweaters, towels, and raingear. At Carl's Golfland, we understand that the weather can change at any time on the golf course. That's why we carry a wide variety of high quality apparel to cover any occasion (or emergency). You'll be sure to find the golf gear you're looking for from our vast selection of sizes and styles. Everyone knows the importance of a fluid golf swing, which makes wearing the right gear a no-brainer. 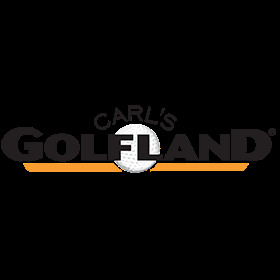 Turn to Carl's Golfland for the most comfortable, stylish apparel at affordable prices. Be sure to support your favorite team by checking out our Collegiate Gear section! The variety of name brand golf apparel available at our store includes Nike, Adidas, Puma, FootJoy, and many more. Shop our top brands today!